We combined stunning design, premium materials and expert craftsmanship to make a truly remarkable outdoor dining chair that will inspire you to dine outdoors. 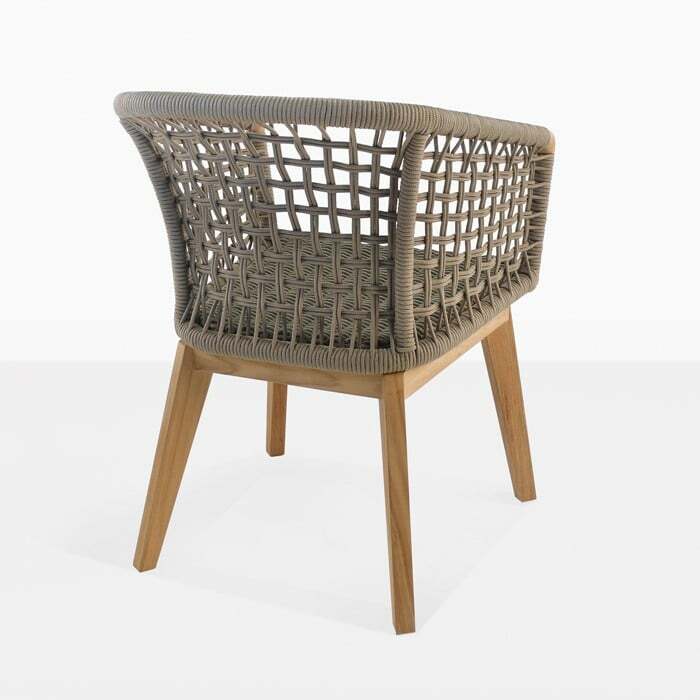 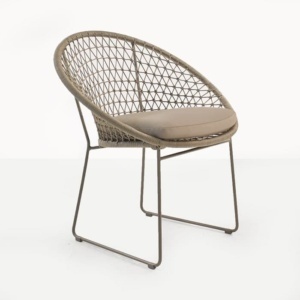 The Ravoli Woven Dining Chair is an instant hit with sophisticated good looks and interesting texture. 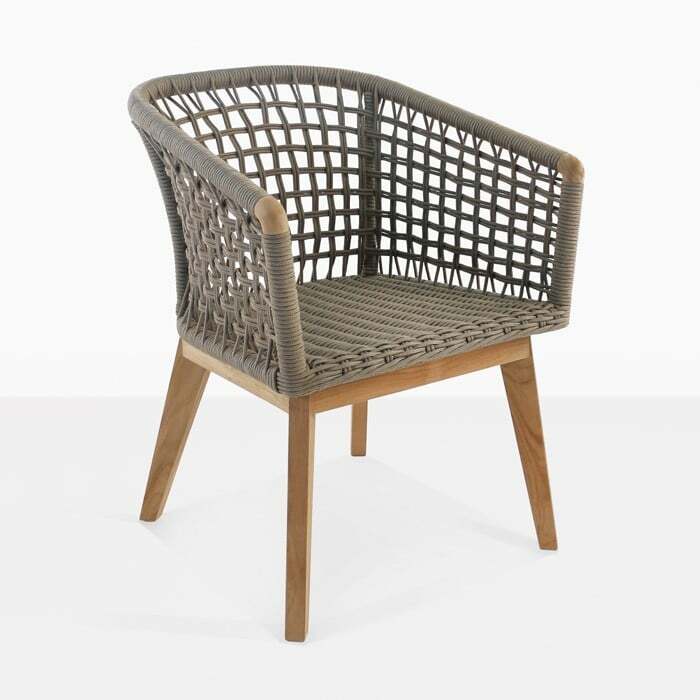 The frame is made with a-grade teak and has a tub-style design with a high back and curved arms. 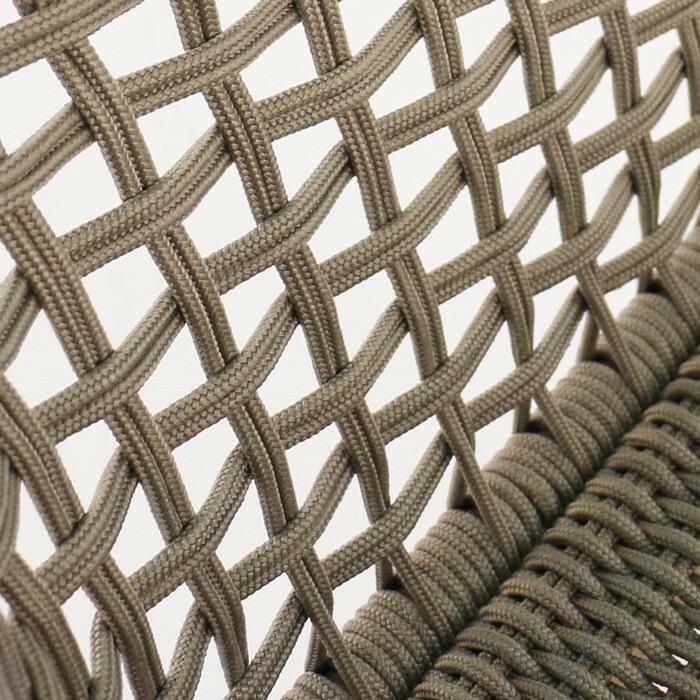 The seat frame is then woven with Sunbrella® rope in an airy pattern with impeccable precision. 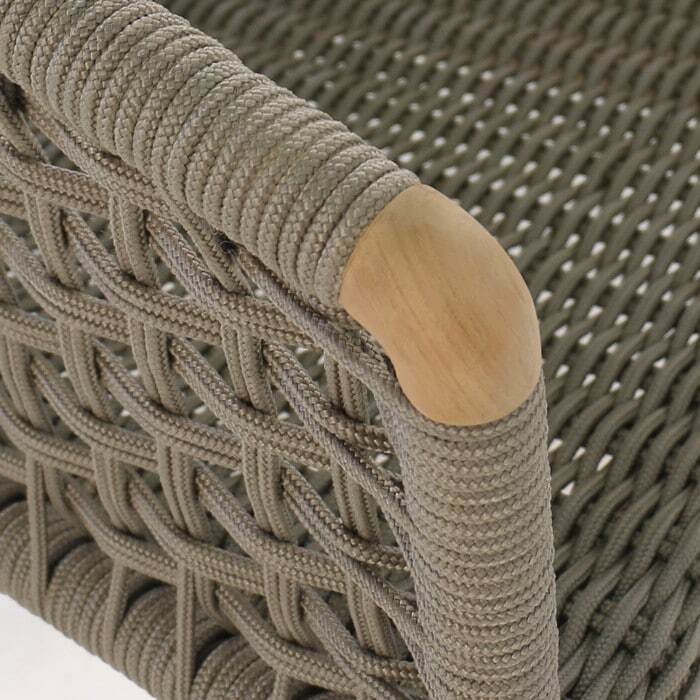 A-grade teak and Sunbrella® rope are amazing materials for outdoor furniture. 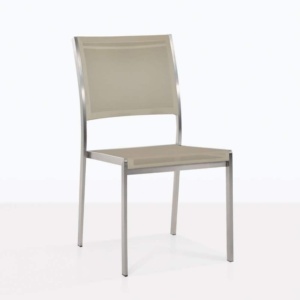 They are weather resistant and also durable and strong. 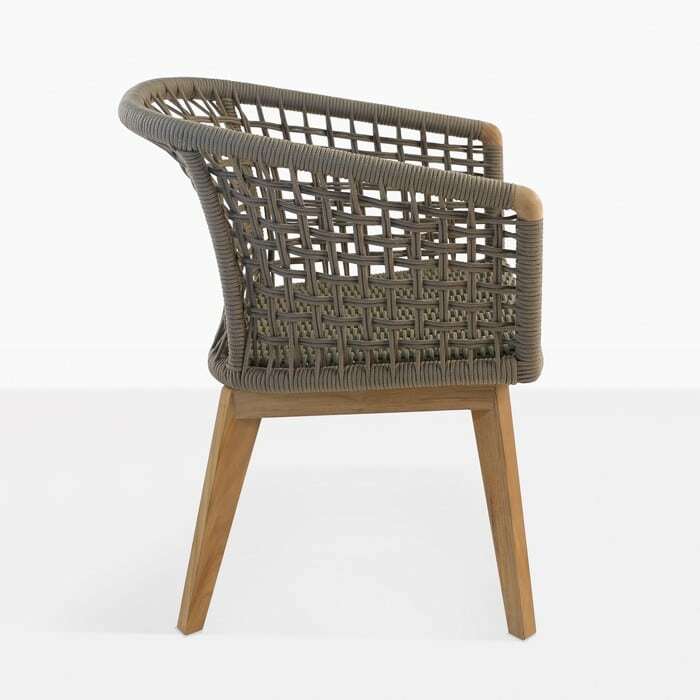 We love the Ravoli dining chair with any of our a-grade teak dining tables and even some of our raw concrete tables. At Design Warehouse you can pick and choose whichever chair and table you like, so that you can have exactly the look you want when you dine outdoors.